Target photograph of Bremen. 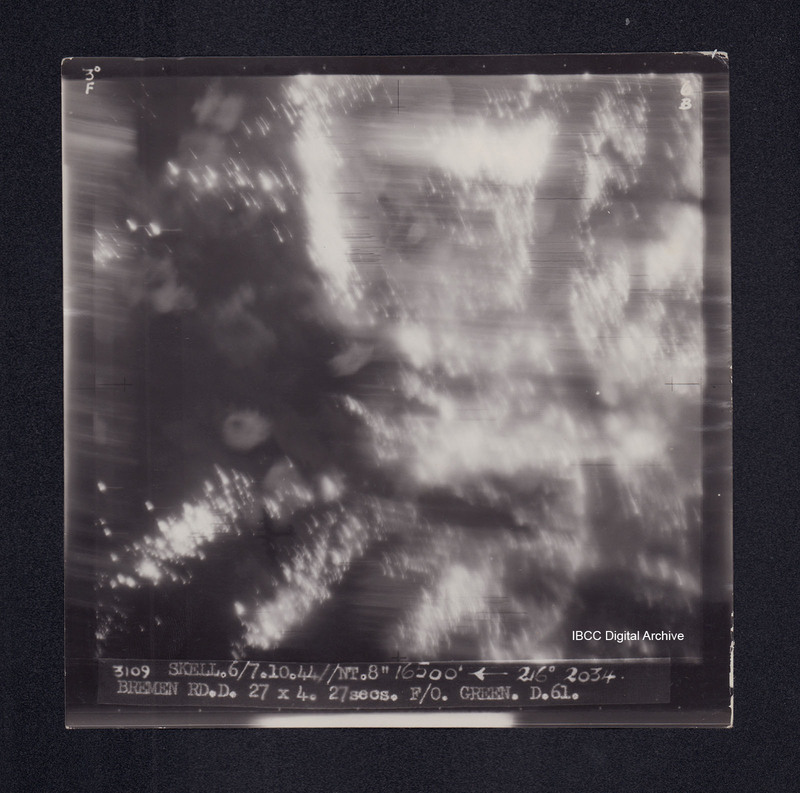 Almost completely obscured by light streaks, no detail visible. Captioned '3°F', '6B', '3109 SKELL.6/7.10.44//NT.8" 16500' [arrow] 216° 2034 BREMEN RD.D. 27 X 4. 27secs. F/O. GREEN. D.61.'. On the reverse 'F/O. GREEN. BREMEN. 6/7.10.44'. Great Britain. 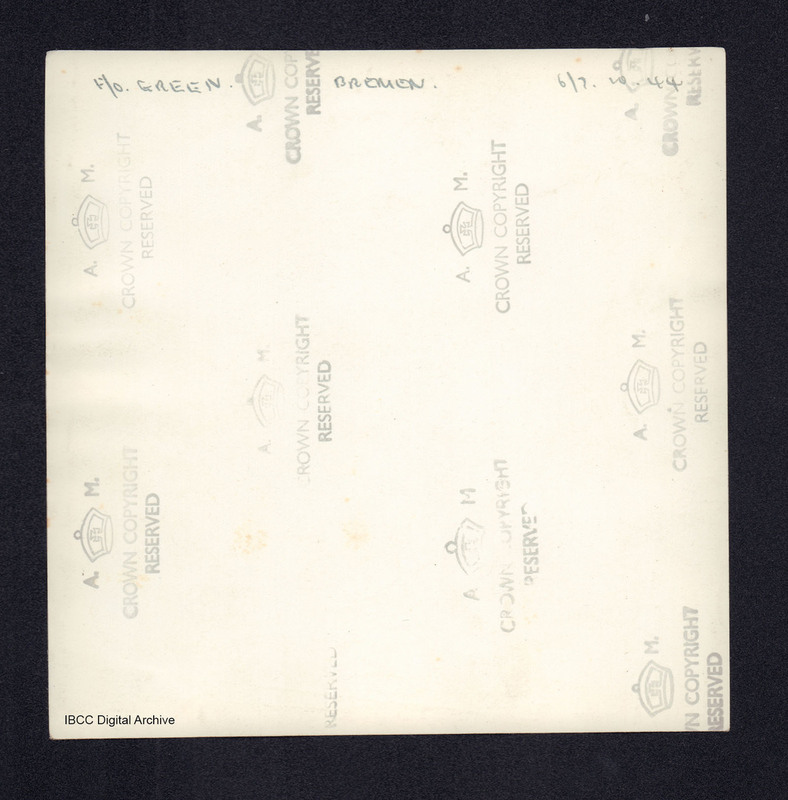 Royal Air Force, “Bremen,” IBCC Digital Archive, accessed April 24, 2019, https://ibccdigitalarchive.lincoln.ac.uk/omeka/collections/document/7742.